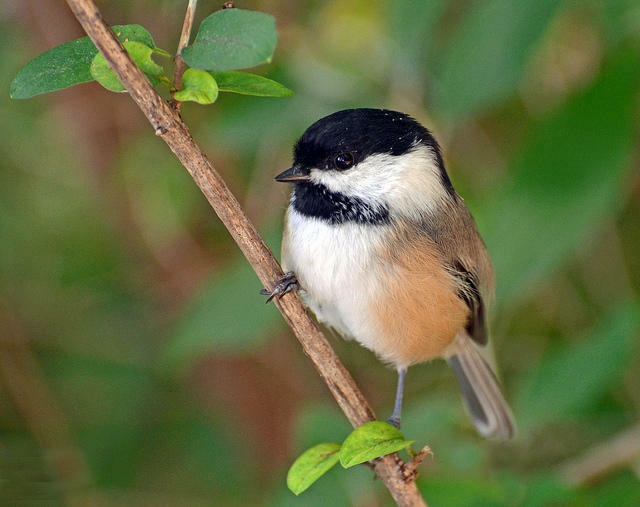 Like most bird populations, the number of chickadees in Michigan tends to ebb and flow. Rusten says she asked her question because her family likes the outdoors and "we always did casual bird watching from the kitchen windows in Chelsea and Ann Arbor." She clarified that it is the Black-capped Chickadee that she was seeking information about. "I remember them being almost as prevalent as sparrows back then. I liked the grey, almost silver feathers of their wings, and how they puffed up into rolly-pollies when the cold wind blew," she said. "I have been up here about eight years and I have seen only one." Julie Craves is the supervisor of avian research at the River Rouge Bird Observatory at the University of Michigan-Dearborn. She also answers readers' questions for Birdwatching magazine. She says questions about the increase or decrease of a certain bird population are common. 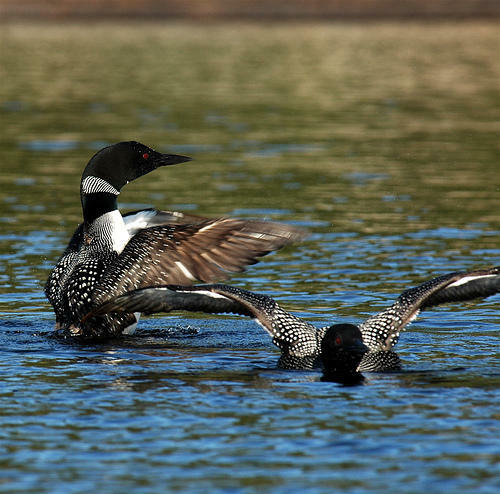 "Most bird populations ebb and flow, from decade to decade and year to year," she said via e-mail. To calculate the change, Craves looked at the Ann Arbor Christmas Bird Count data beginning in 1974 (the 40 years ago that Rusten mentioned in her question). The data reflects the average number of chickadees "per party per hour." It's a measure that takes into consideration how many people were out counting and for how long. "For 1974-1983, the average was 3.6. Now that the latest count numbers are out, I just looked at 2005-2014, and the average is 5.5," she said. You can look up more Christmas Bird Count data here. However, the Christmas Bird Count only covers one day, so Craves decided to compare it to the observatory's Winter Bird Population Survey that covers the whole winter period. The survey is modeled after the National Audubon Society’s Winter Bird Population Study and takes place at the same time each year — December 20 to February 20. Craves said that the survey shows a "long-term decrease over the last 22 years, but a slight increase over the last 10 years." 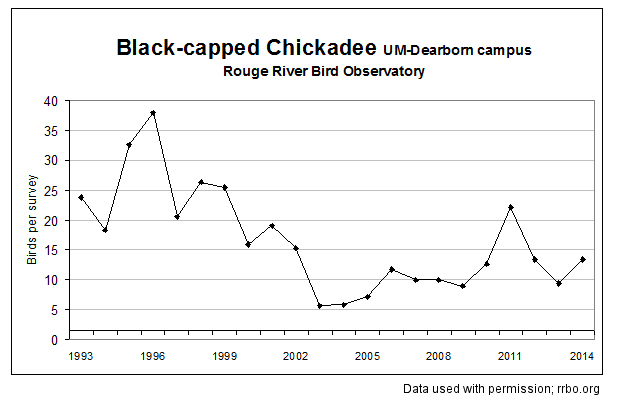 Black-capped Chickadee observations near UM Dearborn from 1993 to 2014. So her data show a modest upward trend in the chickadee population. Crave says Ellen Rusten's observation of fewer chickadees is normal. "When most people observe common backyard birds, they also see numbers vary from month to month, even day to day." 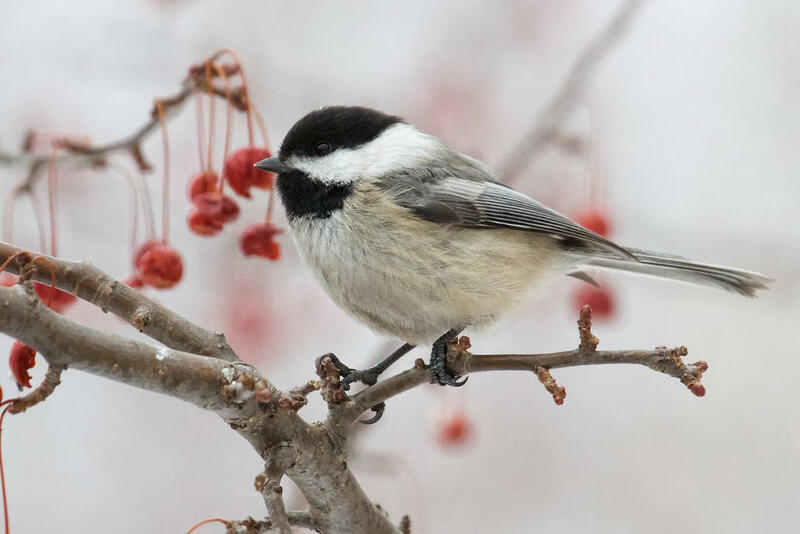 She added that the numbers for frequent feeders, such as chickadees, can vary due to variations in natural food sources, the presence of predators and even the weather. 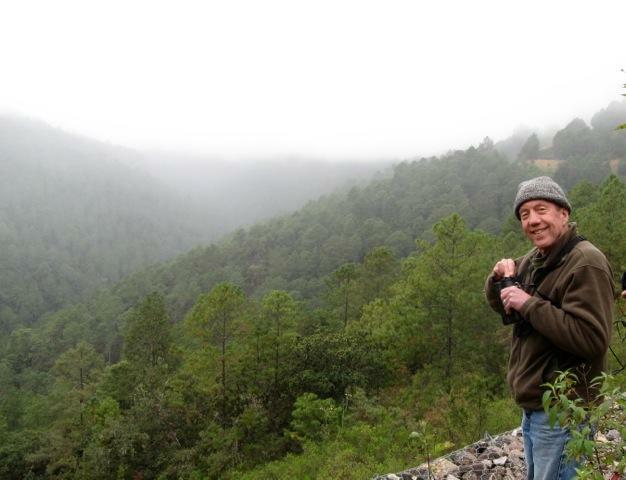 "As someone who has looked at birds for 30 years, [I] can look at weather fronts, and things move according to weather." Craves' research at the observatory used to focus on banding and counting various bird species, including chickadees. She says winter counts are good sources of data for year-round species like chickadees. However, she notes that a portion of the northern chickadee population does move to southern Michigan each year, which can make the count challenging. So what does Craves predict for the chickadee in this year's winter bird study (which concluded on February 20)? "Nothing drastic, at least on a larger scale. Things can be super regional." Due to funding cuts, Craves has not banded any chickadees for a few years, but she has observed that they appear to not be moving in large groups. "I wouldn't be surprised if there was an increase in numbers." Which birds can we see and hear in Michigan during winter? Many birds leave Michigan for warmer weather. But what birds stay here and tough it out with us in the frigid weather? Macklin Smith, a University of Michigan professor emeritus of English and a veteran bird watcher, tells us which birds we can expect to hear during the colder months. A recent report from the National Audubon Society points to troubling times ahead for our bird population. Climate change could make some huge changes for birds in North America: About half of our 650 species would be driven to smaller spaces or forced to find totally new places to live or become extinct – all of this in just the next 65 years. Jonathan Lutz is the executive director of the Michigan Audubon Society. He says in Michigan, about 50 species are vulnerable to the changing climate. Take a hot air balloon ride with ornithologist Dea Armstrong (story starts about a minute in). Like most of us, Dea Armstrong has only seen birds from the ground. Today, she’s going to fly with them. Armstrong is Ann Arbor’s city ornithologist, and watching birds from a hot air balloon is on her bucket list. I got a chance to tag along to find out what we’d see from the air. “I’m so excited to see what it’ll be like to look from above and down. I’m pretty sure I’ll be able to recognize the birds, of course, but it’ll be just so different,” she says. How are robins faring this winter? 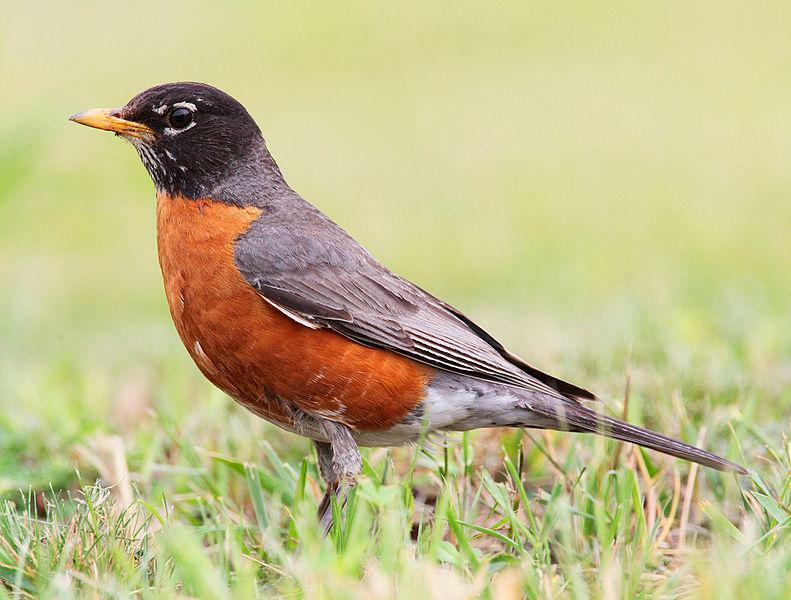 If you grew up in Michigan, chances are when you thought of the very first signs of spring you thought of crocuses and robins. But have you noticed that in recent years, something has changed– that robins are pretty much with us all through the winter? Why has this happened, and do we have any reason to worry about robins in this exceptionally harsh winter? Julie Craves, director of the Rouge River Bird Observatory in Dearborn, joined us.